The exhibition “It’s just a game” will present Fabrizio Pelanda’s 35 small paintings. 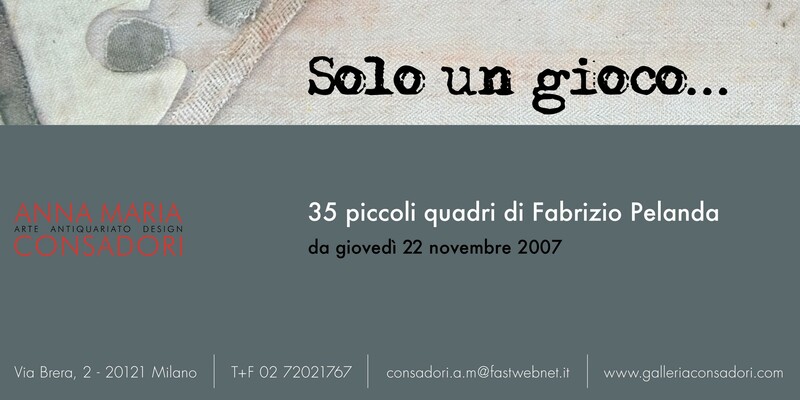 The exhibition opens on Thursday, 22nd November 2007 at 6.30 pm at Anna Maria Consadori Gallery at 2 Brera Street in Milan. Our opening hours are: from Tuesday to Saturday from 10.30 am to 1.00 pm and from 3.00 pm to 7 pm. Admission free.